We can remove your old countertops and install new laminate, solid-surface, Corian®, Quartz®, Silestone®, or even granite countertops (as well as many others), with your choice of colors and a variety of edge profiles to choose from. And of course, all the work will be performed by certified fabricators and installers. For an informative overview of the different countertop material options available, check out item 6 (entitled "The Pros and Cons of Different Countertops") of the Frequently Asked Questions section of our Kitchen Remodeling Page, which contains information provided by interior designer Tammy Franklin, and is reproduced here with permission. If your remodeling plans call for new flooring, you'll be glad to know that the folks at Bob's can help you with that, as well! In fact, Bob's team includes flooring experts who can handle everything from material selection to installation, and do it all with the same thoroughness and attention to detail that Bob has built his reputation on. As with kitchen cabinets, there are many flooring options available (more than ever before, in fact); while this is generally a good thing for home remodelers, it can be a little daunting to find the flooring option that best suits your particular needs and situation. Bob and his team can provide all the guidance you need to help you make the best choice, and then bring your vision to reality. You'll find photos of a few examples of the custom flooring work that Bob and his team have performed in the Photo Gallery. A great summary of the many flooring options available can be found in the Flooring section of The Short and Long of Home Renovation website, which we've reproduced here with permission. The information summarized here originally appeared on "The Short and Long of Home Renovation" (Copyright (c) 2009 Lisa Yannucci and Jason Pomerantz). PROS – Beautiful, warm, soft on the feet, fairly durable, long-lasting if properly sealed and maintained, can be refinished, many wood types and hues to choose from, can be painted or stained for more color options, helps tie kitchen to other rooms in an open floor plan. 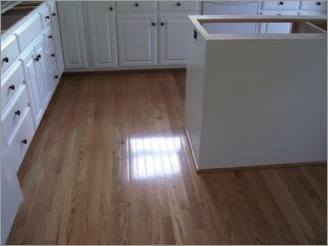 CONS - Susceptible to water damage, darkens with age, expensive to very expensive, softer woods can dent easily, harder to keep clean than vinyl or laminate – water and spills need to be cleaned immediately. Dust everywhere with refinishing or new installation of unsealed wood. PRO TIP - Material must acclimate for 48 hours before installation. PROS – Beautiful and durable, with many color and pattern choices. Nearly indestructible. Tumbled or honed finishes give good traction. Granite is the strongest. CONS - Cold and hard on the feet. Very expensive. Slate is more affordable, but can be rough and can peel. Glossy finishes are slippery when wet and must be polished regularly. Tumbled or honed stone must be sealed regularly. Stone is heavy and may need a stronger subfloor. Marble will be damaged by chlorine and can absorb dirt. Limestone and Slate collect dirt. PROS – Huge selection of mixable colors, shapes, sizes and patterns. Durable if well made. Glazed tiles are moisture and stain-resistant. Most are easy to maintain. Mosaic tile can be laid on uneven surfaces. Can be very affordable. Easy for do-it-yourselfers. CONS - Cold and hard on the feet. Can be very expensive depending upon what you choose. Can crack or chip and is difficult to repair. Glossy finishes are slippery when wet. Grout can discolor and is hard to maintain. PROS – Durable, easy to maintain, scratch-resistant, wide range of colors and designs, can be installed over old flooring, can be affordable, quiet when used with underlayment, good choice for damp areas and below grade, easy installation – good choice for do-it-yourselfers, has color/grain uniformity, many click together styles require no glue. CONS - Cannot be refinished if damaged. Some can be expensive – as much as wood. PROS – Inexpensive, durable, easy on the feet, quiet, water and stain resistant, and low maintenance. It's easy to install – especially tiles. 12 foot wide sheets means seamless floors in small rooms. You can create patterns with tiles. CONS - Prone to dents and tears. Moisture can get into seams leading to mildew and lifting. Glossy finishes are slippery when wet, and can dull easily unless waxed regularly. PROS – Warm, easy on the feet, quiet, lots of colors and styles to choose from, choice of wall to wall or area rugs, slip-resistant, can be affordable. CONS - More appropriate for drier climates. Collects dirt and moisture – which can turn into mildew. Wall to wall carpeting is not a good choice for people with dust allergies. It's hard to clean. Polypropylene or washable area rugs best choice. Cork is one of the natural, sustainable, "green" products available. PROS – Cork is soft and warm, wide array of colors and patterns, great texture, easy to install, can be affordable. Option of unfinished or polyurethane-sealed. CONS - Must be sealed, not as durable or easy to clean as vinyl. May not be a good choice for "rough" families. Linoleum and Marmoleum are also among the natural, sustainable, "green" products available. Made from linseed oil, woodflour and/or cork dust and sometimes pine rosin, jute and limestone. PROS – Comes in wide range of colors, quiet, durable, biodegradable, environmentally friendly, hygienic and anti-static. Modern linoleum doesn't wear down like the old type from the '50's. The glue is better, so it shouldn't pucker up over time. CONS - Porous, it may need to be waxed or polished from time to time. Strong overall, but difficult to repair if there is a problem. 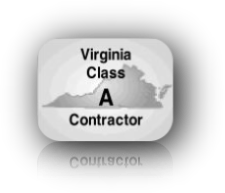 Call Bob at (757)851-9618, and put his experience to work for you.